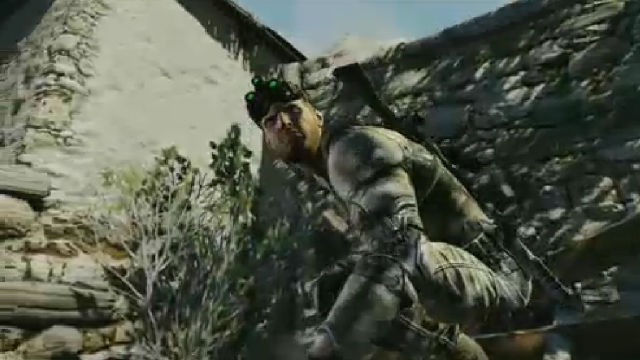 Today at E3, Ubisoft unveiled the development of Tom Clancy’s Splinter Cell Blacklist. As the first production project from Ubisoft Toronto, with support from Ubisoft Montreal and Ubisoft Shanghai, Tom Clancy’s Splinter Cell Blacklist delivers a gripping modern-day special-ops storyline with a new level of technical innovation and quality. The game includes voice recognition features on Kinect an arsenal of new gadgets and reinvented classic weapons and a new “Killing-in-Motion” fighting style. A group of rogue nations have had enough of the United States’ military presence in their countries. In an effort to force the withdrawal of the U.S. forces, they mastermind “The Blacklist,” a countdown of escalating terrorist attacks on U.S. assets. Given a presidential mandate and the power to act above the law, players take on the role of lethal operative Sam Fisher. Outfitted with Sam’s infamous tactical suit and goggles, players will infiltrate terrorist cells while using ruthless interrogation methods to extract crucial information to prevent the next Blacklist attack. The thrilling storyline and wide range of intense, eye-opening missions will propel players to find those responsible for these deadly assaults by any means necessary. Throughout the game, Sam and Fourth Echelon seek out their missions aboard a new Mobile Command Center housed inside a stealth aircraft. Ready to take off at a moment’s notice, Fourth Echelon is equipped with unlimited resources and cutting-edge technology including a Strategic Mission Interface that reports global events in real time. The game will be available worldwide for the Xbox 360 PlayStation 3 and PC in spring 2013.